Now the web site has 2018 information, significant changes etc will be posted here. 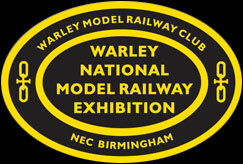 3rd June: Layout Auckland North Junction (HO) by Chris Gilbert has been withdrawn from the Show. It has been replaced by Oakley Green (OO) by Jamie Mathlin. 26th October: Darren Johnson has had to withdraw 4mm layout Croydon North Street.